There are so many different types of brushes I still need, but I tend to stick to the same Sigma or Real Techniques. They’re great, but I get bored so easily and even though I clean my brushes every week or two, I need variety. You know? Since I can’t buy Morphe makeup, I stick to their brushes! (Left to right) New to my collection is the R2, a beautiful big tapered fluffy brush, which I rather enjoy using for bronzer. I mistakenly bought this instead of the R0, which is larger and the one I wanted. But this will do for now! Also, there’s the goat hair R10, a dense cheek brush with the softest bristles, and the R13 which is similar to the Real Techniques Contour Brush but narrower, with slightly longer bristles. I’m quite excited by the eye brushes, because I needed tiny brushes for detailed work in my crease and below my lower last line. For that, I now have the R43, the R41, and the R42! I’ll admit to being pleasantly surprised by Morphe’s Rose Gold Collection. It took me the longest time to buy any, but I rather like everything I’ve tried. Which will teach me a lesson about judging brushes by their online thumbnails! I like the feel and weight of them, and the rose gold design. But I do wish the bristles were more cohesive. Between the synthetic and goat hair bristles in the collection, I much prefer the latter even though the fluffier of the synthetic I’ve tried still do a beautiful job. 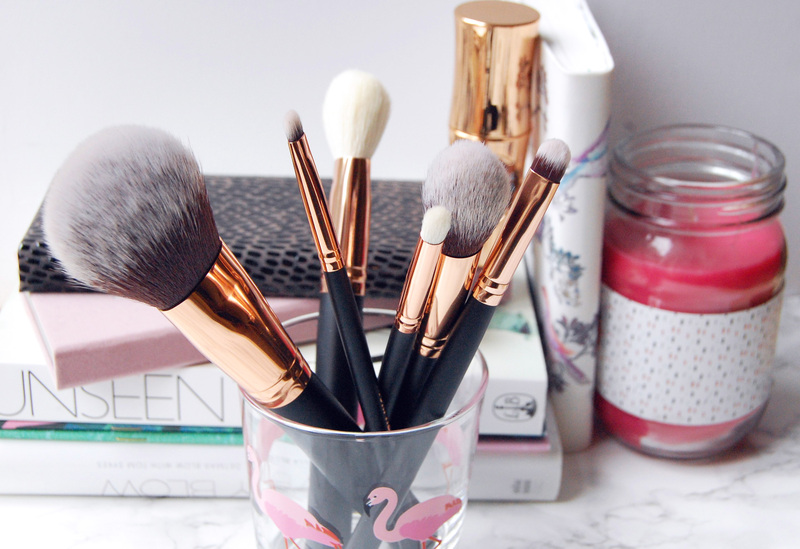 Do you have any favourite Morphe brushes? Morphe brushes aare so pretty always! Never judge a brush by its thumbnail, my new motto! I have never owned Morphe brushes but they look really nice, I really need to get my hands on some! Definitely try the goat haired pieces from the rose gold collection! They're lovely! i need new brushes and morphe brushes seem amazing. i would love some. The Rose Gold brushes are lovely. They feel luxe! Nice! I'm pretty addicted to Real Techniques, but always good to have options! Me too, I pretty much just usedl RT and Sigma until a few months ago. I can't wait to try the new RT collection though! That's such a shame, and so annoying! Honestly, one of the main reasons I didn't buy Morphe brushes for years is because the online reviews were so negative. I bought mine from Beauty Bay. They deliver fast and have a decent refund policy, so maybe try them next time for security.